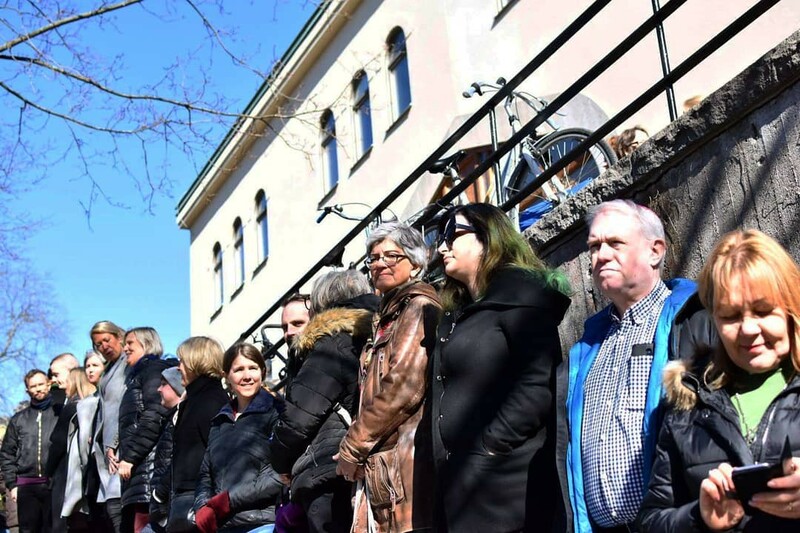 After Christchurch, we gathered a thousand Swedes to symbolically shield the mosque. Here’s how. 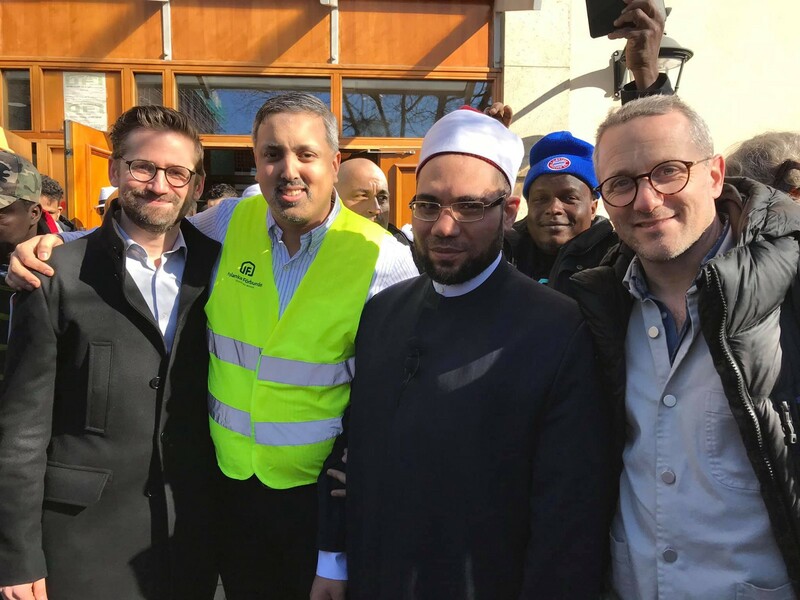 After Christchurch, we gathered a thousand Swedes in a symbolic human shield around the Stockholm mosque. Here’s how it happened. 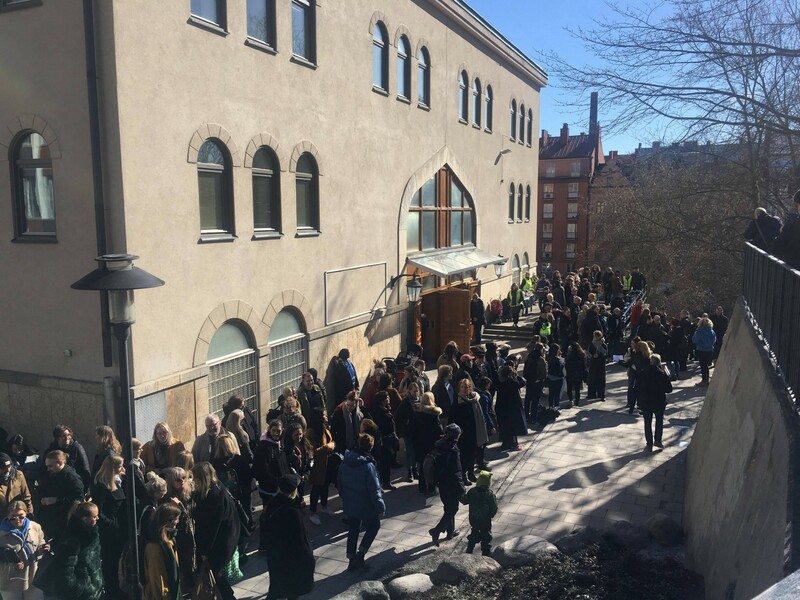 During the Friday service on March 22nd, between 800 and 1 500 Stockholmers surrounded the mosque in a symbolic shield. The message to our city’s muslims was: You are not alone in your grief and worry after Christchurch. And your security is not your own sole concern — it’s our joint responsibility. The manifestation was organized on Facebook by myself and my friend Samuel. We could not imagine that this many people would show up. 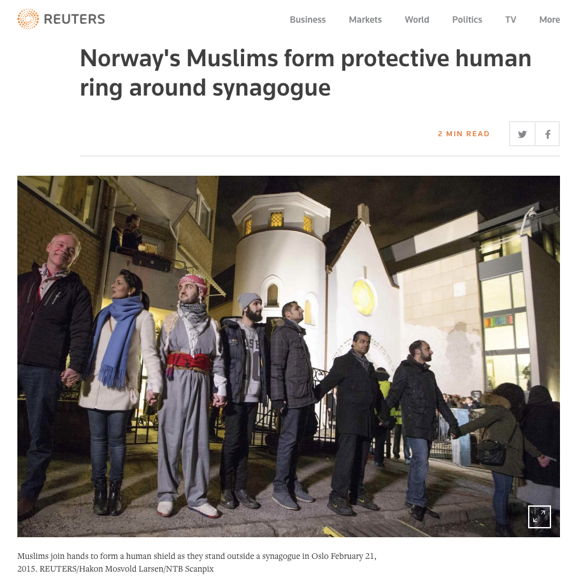 Or the kind of love and gratitude we would receive from muslims across Sweden. Text below can be freely shared, quoted and re-published. For pictures, see caption. The Facebook screenshots are all from posts on a public event. Free to re-publish with credit to photographer Amanda Glans. As a Jew, I know all too well what feelings of discomfort and fear that attacks like the one in Christchurch can bring about. From Reuters. Not for re-publishing from this blog post. 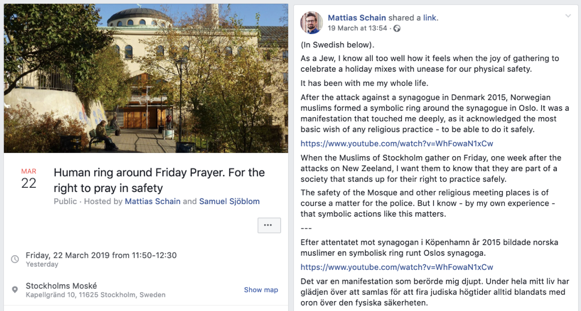 In 2015, a lone terrorist attacked the Copenhagen synagogue. Due to the synagogue’s shell protection, only a voluntary security guard was killed. But as a Bat Mitzvah party was being held inside, the result could otherwise well have been much worse. A scenario that ravaged my imagination. 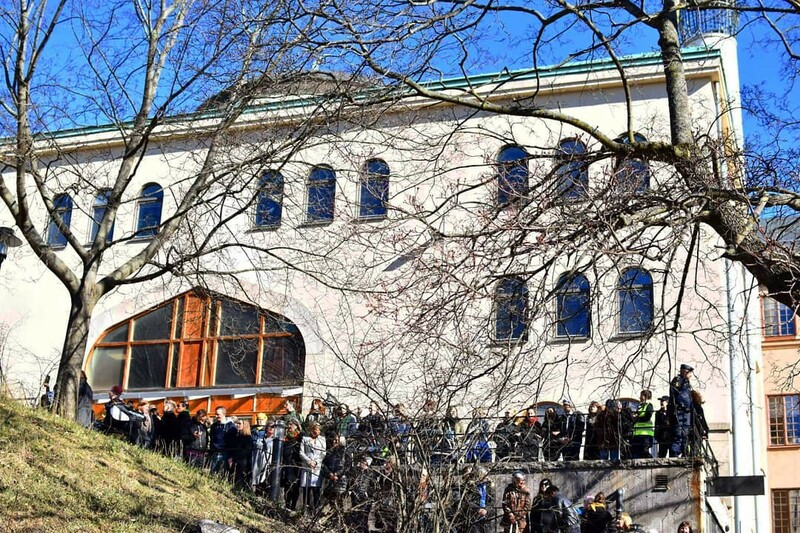 On the upcoming Sabbath thereafter, Norwegian muslims formed a ring around the Oslo synagogue. It was a gestured that touched me deeply. 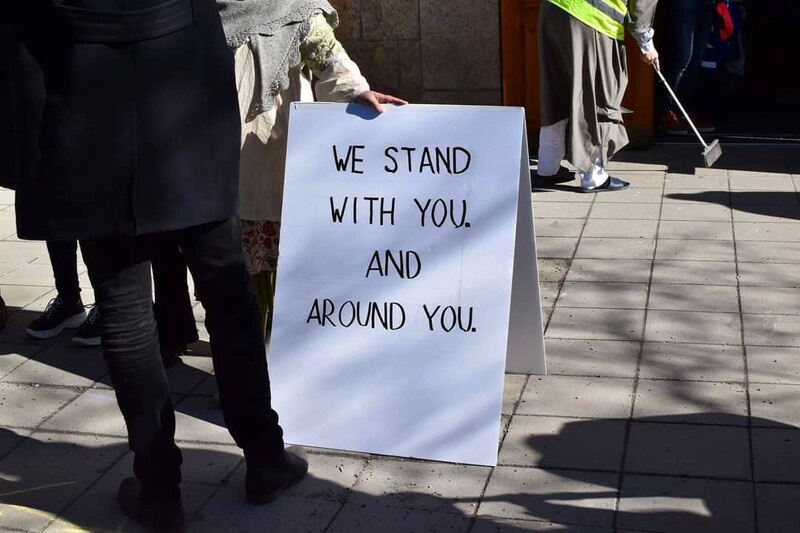 As pictures from Christchurch rolled in the days after the attack, I felt I wanted to try to return some of the comfort I had felt by the Oslo manifestation in 2015. Myself and Samuel, an old jewish friend who shares much of my background, agreed that the human ring would a suitable manifestation of inclusiveness and of protection. 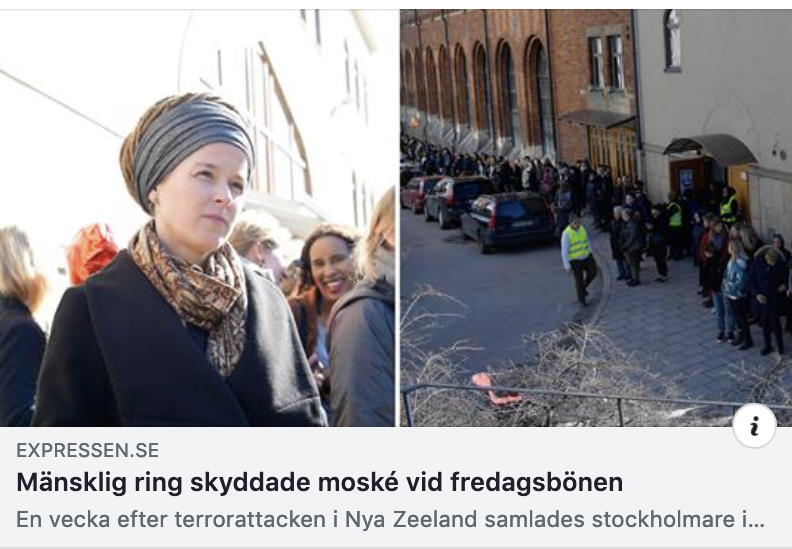 Of course, the security responsibility lies with the police and not us as individuals, but we believed the ring would symbolize our communal responsibility for the security our city’s muslims. So we contacted the mosque to see if they would welcome the manifestation, which they said they would. As we approached Friday, the event kept getting more and more likes and shares. 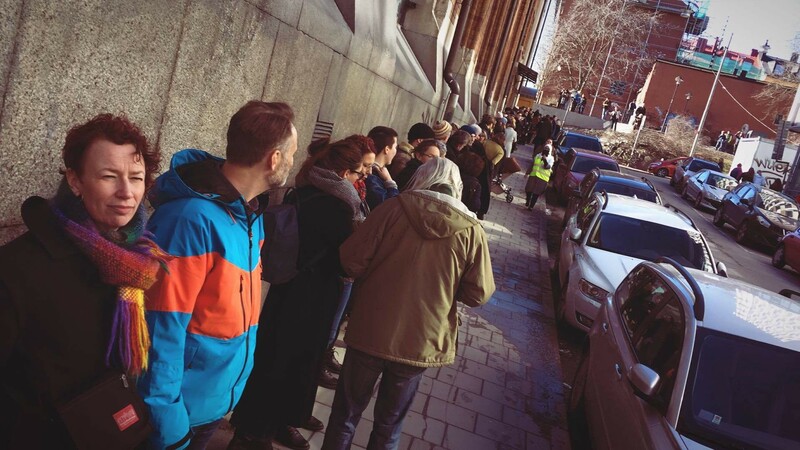 On Thursday more 1 300 people had marked themselves as coming or interested. 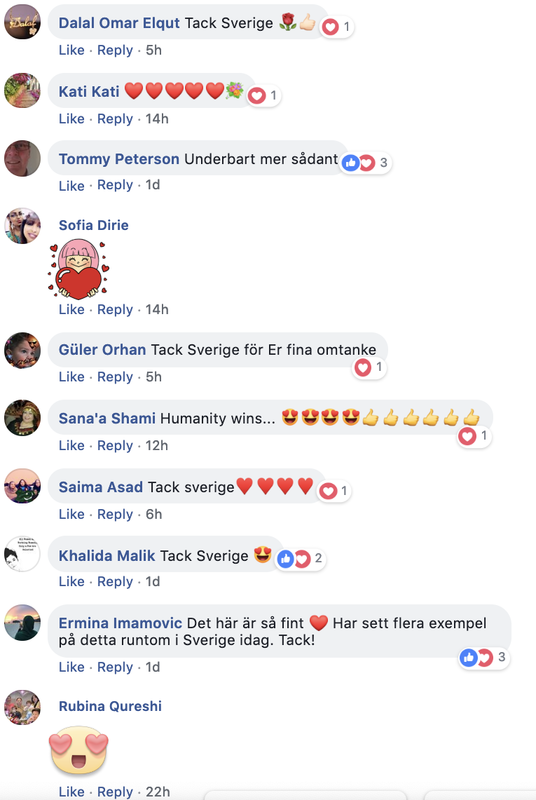 But also, messages from muslims across Sweden came as comments and private messages. “Heartfelt thanks for this important initiative”. 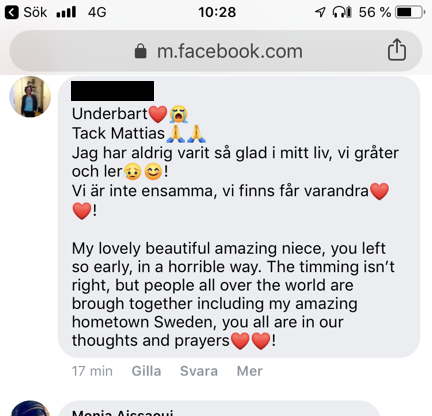 “Thank you for making muslims feel as a part of Sweden”. The day came. And so did people. On Friday we didn’t wether to expect 30 or 3 000 people. I hade asked some friends to come early to help form the ring, and we used kid’s street crayons to mark where we planned the ring to go. But as 12 AM approached, people just kept coming. To be honest, I don’t know how many. Estimates range from 800 to 1 500. And almost everyone stood there the full time of the prayer. From stockholmdirekt.se. Not for re-publishing from this blog post. Free for re-publishing with credit to photographer Miriam Steinbach. From expressen.se. Not for re-publishing from this blog post. As the prayer visitors exited after the service, it felt like the waving and handshakes would never end. Isma and Sid Khan, Scotland born muslims, resident in Sweden: “We’re just so overwhelmed that everyone took their time to come out. It reinvigorates our belief in humanity after Christchurch.” Free for re-publishing, no credit necessary. Myself, the mosque’s chairman Mohamed Temsamani, its imam Khaled Adeeb and my co-organizer Samuel. Free for re-publishing with credit to photographer Luis Lineo. I’m sharing this because, in the midst of the feeling how the world is just going in the wrong direction, the last few days has been such an overwhelming experience. I know it’s worn out words, but in this day and age, we’re all just connected.